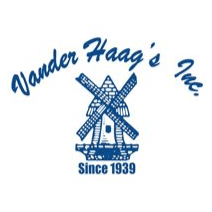 Vander Haag's is your heavy trucks, trailers, parts, equipment and service headquarters. We have six great locations across the Midwest. We carry everything from new or used to rebuilt parts in the heavy truck & equipment industry. We stock power steering gears, engines, carriers, cabs, transmissions, fenders, bumpers, doors, grilles, hoods and much more!